When buying a used car you ought to know the actual value of the car. It doesn’t really matter if you are getting the car from a dealership or a private party and you can only be assured of a sound car by carrying out a custom car appraisal. You have also bear in mind that, custom car appraisal gives you valuable insight of factors which include and not limited to the vehicle age, mileage, condition, trim level, optional equipment, and even the region where it’s being sold etc, All these factors gives you an idea of the car’s value. Keep in mind that for any used car on sale out there, there are usually two prices for it i.e the retail and wholesale price. Retail price. Usually more expensive than the wholesale price and this is because of the fact that, you are buying the car from a dealership who intends to make a profit from the sale. Wholesale price/trade-in value. Used cars are a lot cheaper at wholesale price/trade-in. Here the car is traded in for its exact value to a dealer, who then could decide to sell it out to another dealer or customer at a much higher price than the initial trade-in value. In custom car appraisal, checking out a used car price otherwise known as book value is often the first step. What is a car’s book value? This simply means a catalog where prices of cars are listed. So you can check out several used car prices on brochures that are obtainable from the internet or at your local dealership shops. But bear in mind that, you have to consider certain factors like the car’s mileage and condition if you truly intend to get the car’s accurate value. You can also give your custom car appraisal a more realistic dimension by visiting private sellers and also dealerships that are within your geographical location. Find a car that has the same features as the car you intend to get its value, then inquire from these sellers and dealers the value of the identical car. 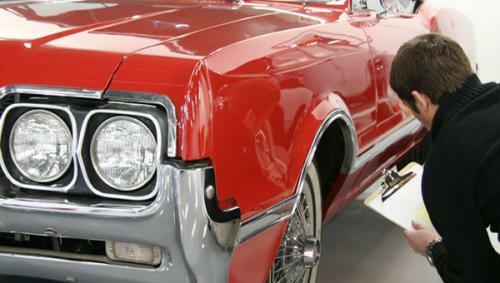 That way you are getting a first-hand appraisal in other words general custom car appraisal thereby helping you make informed decisions about the used car to buy.